"Dolphins: So Long, and Thanks for All the Pollution"
Nellie Shaul, Ph.D. candidate in marine chemistry at the Scripps Institution of Oceanography at UCSD, will describe how scientists go about studying chemicals of potential (or known) concern in the environment, and how the abundance and movement of pollutants in the ocean environment relates to our entire “chemical universe.” Shaul will share with us the results of the study in which she and her research team analyzed dolphin tissue samples, identifying alarming levels of halogenated chemicals. Be prepared to learn more about dolphin blubber than you ever thought you would. 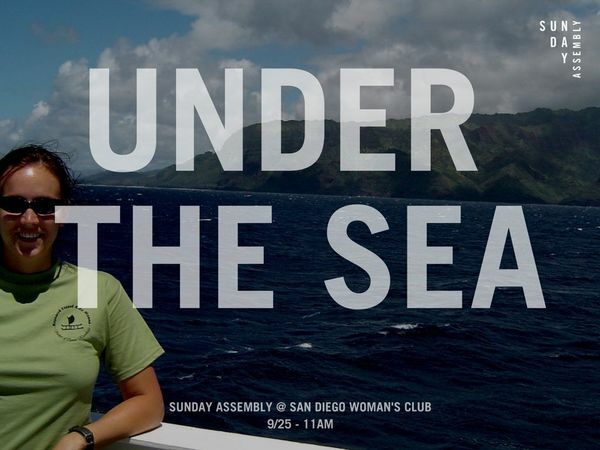 Nellie Shaul, an academic editor at Research Square, a publishing services company for scientific journals, is a Ph.D. candidate in marine chemistry at the Scripps Institution of Oceanography at the University of California, San Diego. Shaul's interest in environmental chemistry bloomed at at Southern Illinois University Edwardsville, where she obtained a B.S. in Chemistry, a B.S. in Biology, and a M.S. in Chemistry while studying the association of placental levels of persistent organic pollutants (POPs) and low birth weight. Because of her Ph.D. work and dissertation committee collaborations, a Center for Oceans and Human Health was funded at UCSD and SDSU that investigates the potential sources of these natural POPs and their relationship to legacy and emerging POPs in the Southern California Bight region. In addition to her research, Shaul is heavily involved in teaching and outreach activities, a board member of the San Diego chapter of the Association for Women In Science and former chair of the outreach committee. She is also on the planning committee and board for the annual Expanding Your Horizons conference aimed at getting girls aged 11 to 16 interested in science, math, and engineering.